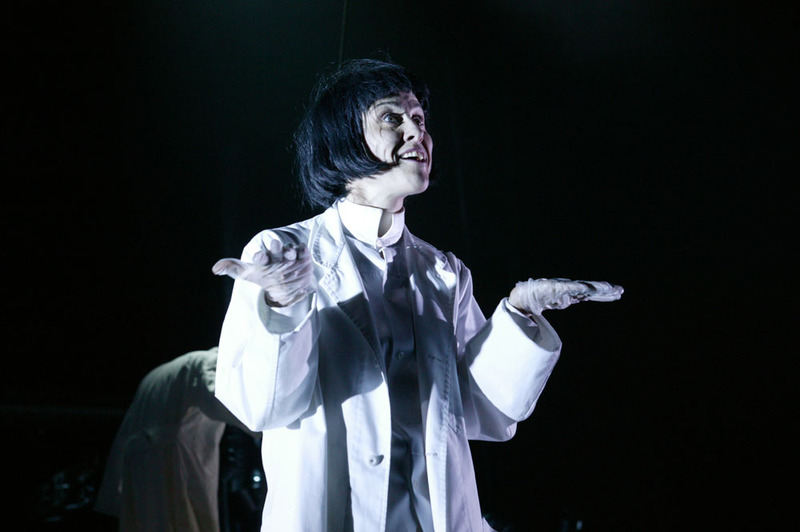 The excitedly physical staging of Georg Buchner’s tragic and fragmented play about a young man struggling to make the best from what life has dealt him. 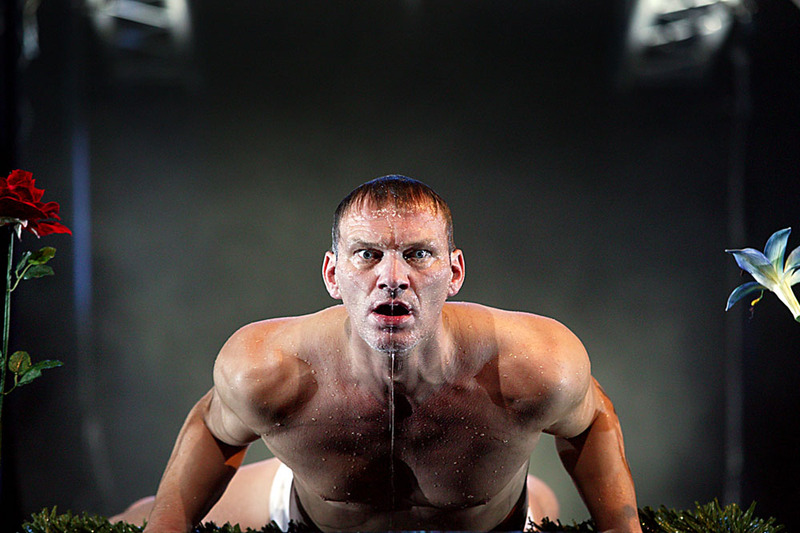 A hostage to fortune, class and his sadistic superiors, Woyzeck’s fate is played out in a series of nightmarish encounters. 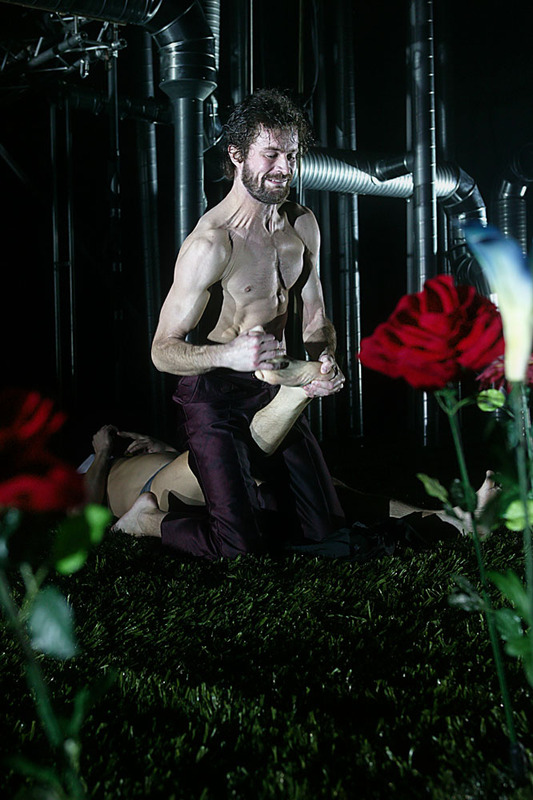 He stumbles through a world of macabre carnival, sexual betrayal and cruel oppression, pursued by the demons of his own paranoid fantasies. 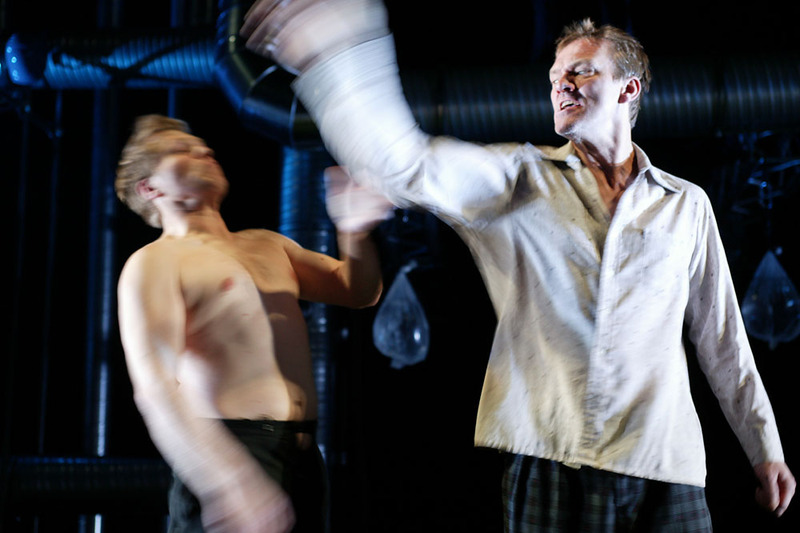 Pushed beyond breaking point, Woyzeck’s last love- crazed act destroys the only thing he truly cares for. 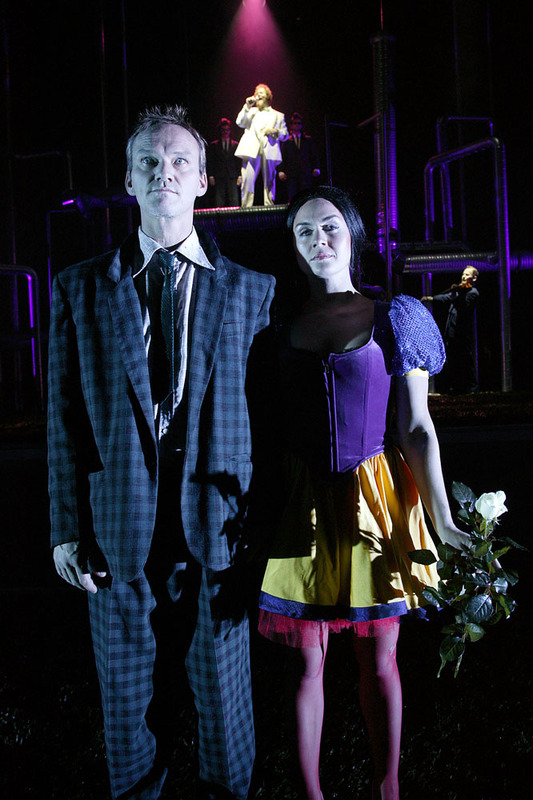 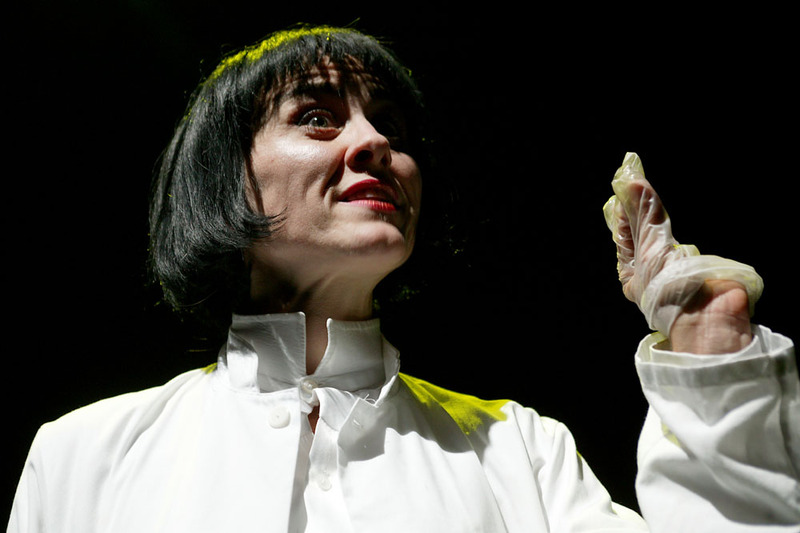 With haunting original music by cult rocker Nick Cave and Warren Ellis of the Bad Seeds, the music reflect and emphasize both Woyzeck’s misery and the Drum Major’s ascendancy. 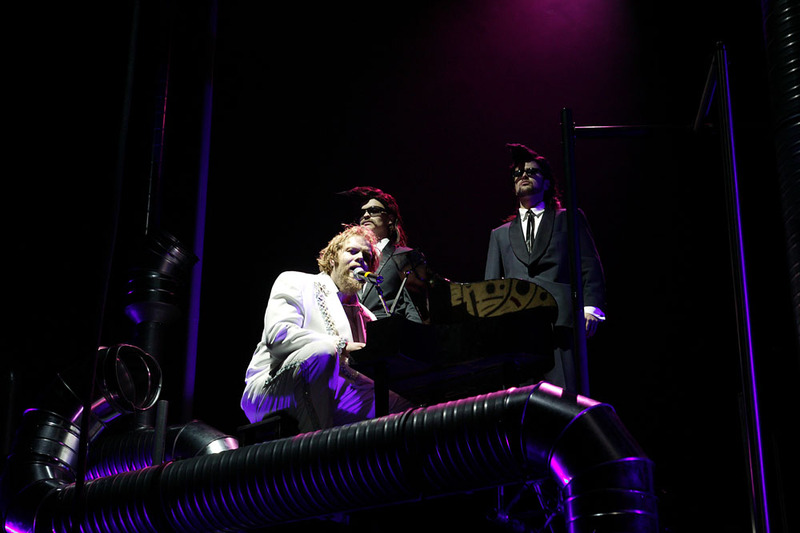 This unique production is directed by Vesturport’s own rising-star Gisli Örn Gardarsson. 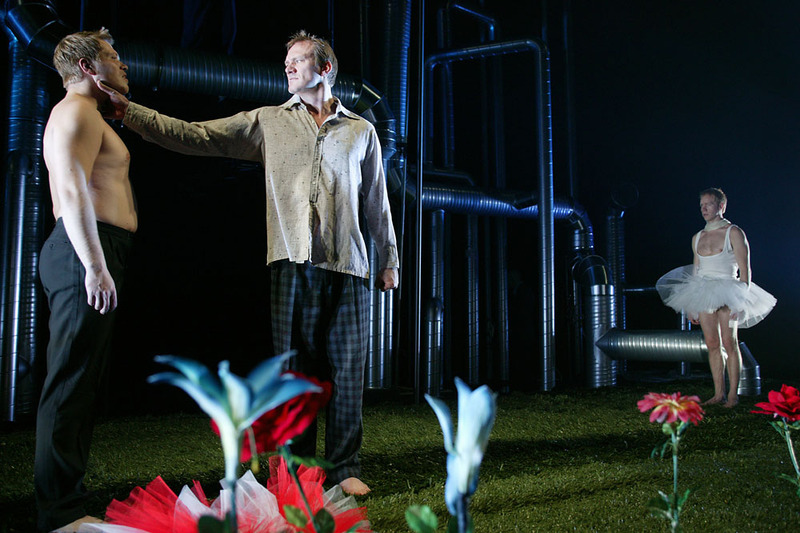 Water abounds in Gardarsson’s gleefully physical staging of Büchner’s masterpiece which is played out on an industrial set of gleaming pipes, green astroturf, and water-filled plexiglass tanks. 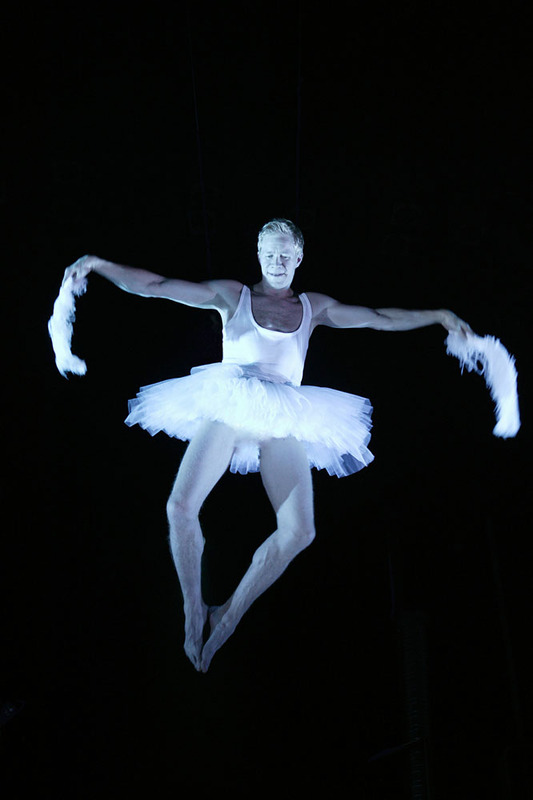 With acrobatics, aerial ballets, and underwater sequences, the production’s hyper-athletic cast infuses this fragmented tragedy with unrestrained energy. 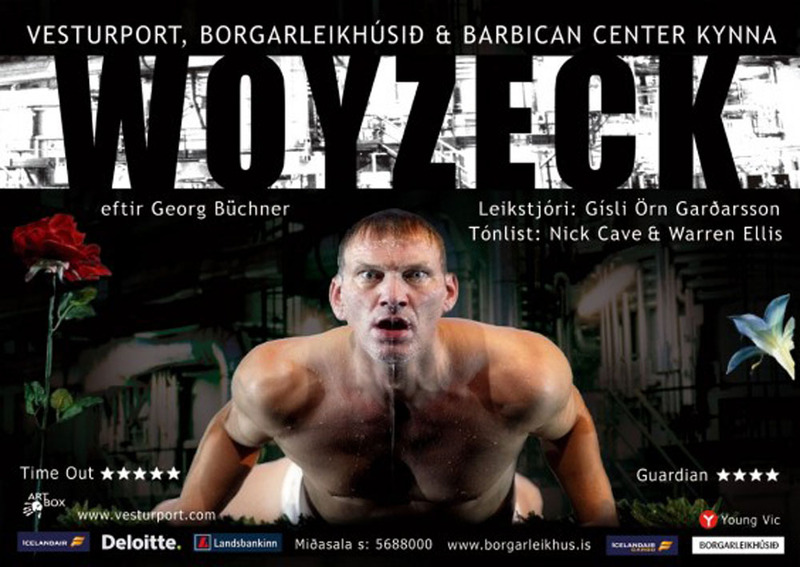 Woyzeck is a joint production of Vesturport and The Reykjavik City Theatre. 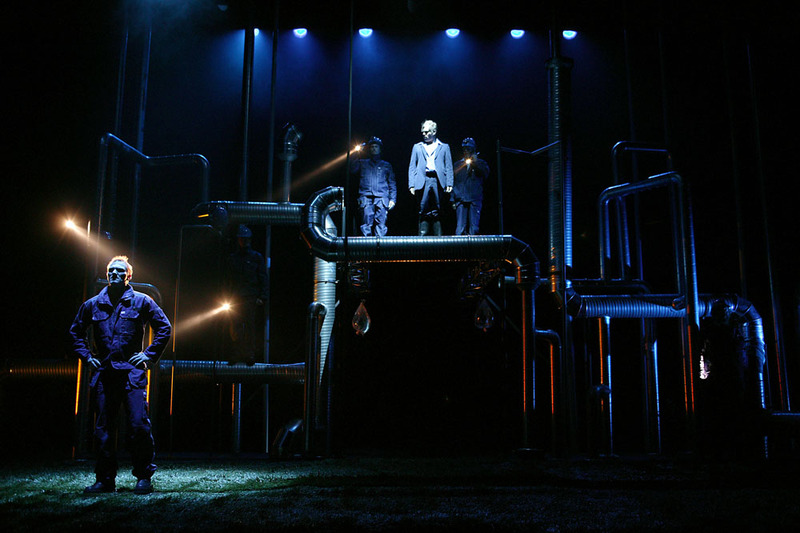 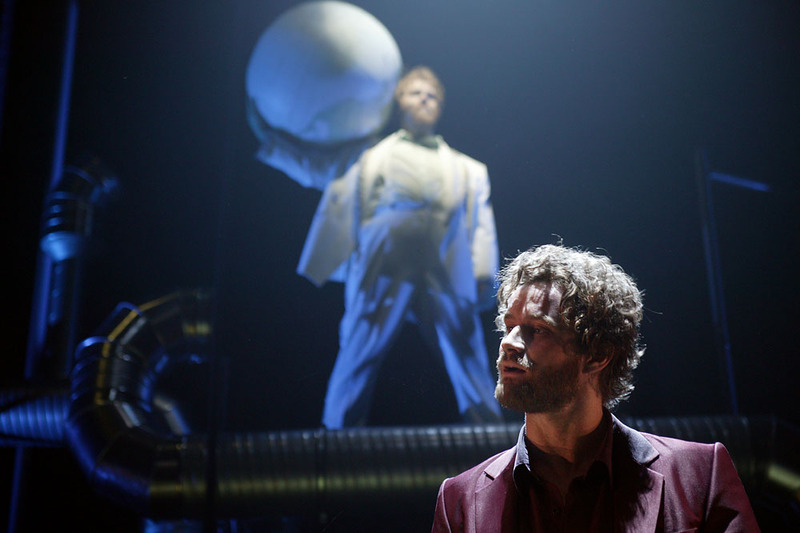 Woyzeck premiered at The Reykjavik City Theatre in 2005 and was presented at London’s Barbican Theatre in 2005 as part of their Young Genius series where its sold-out run received critical acclaim. 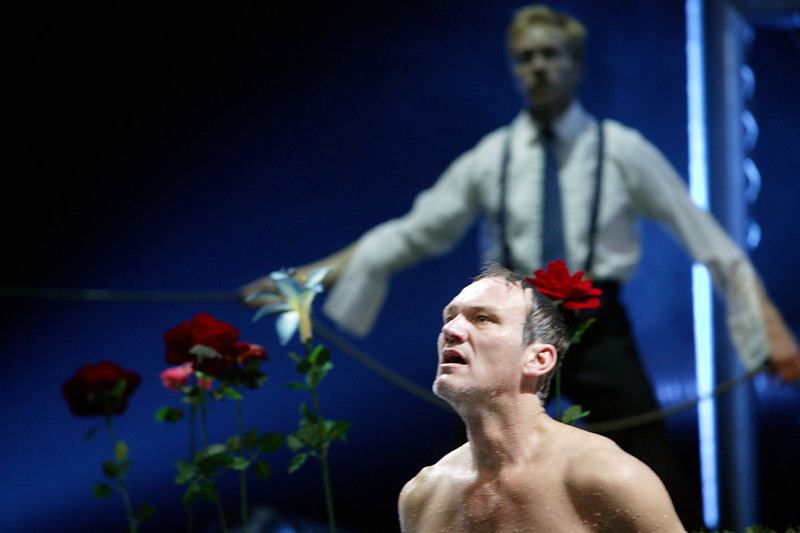 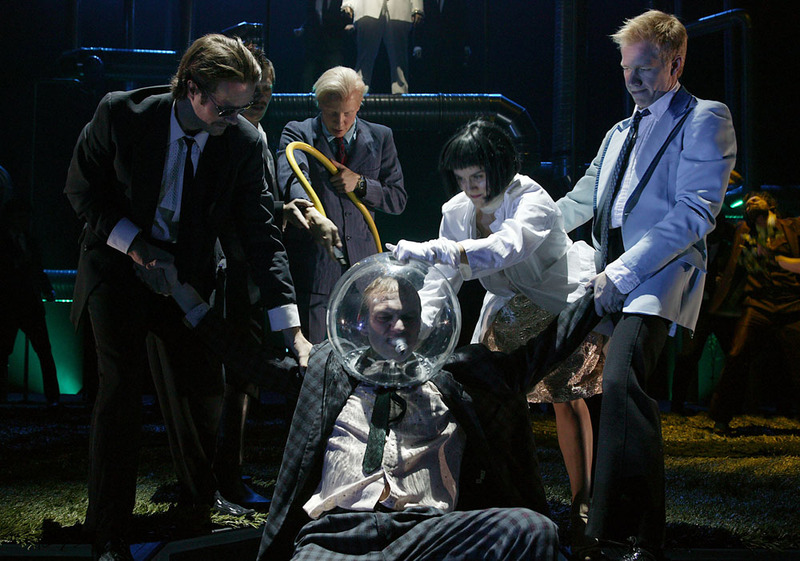 The production returned to the Barbican in 2006. 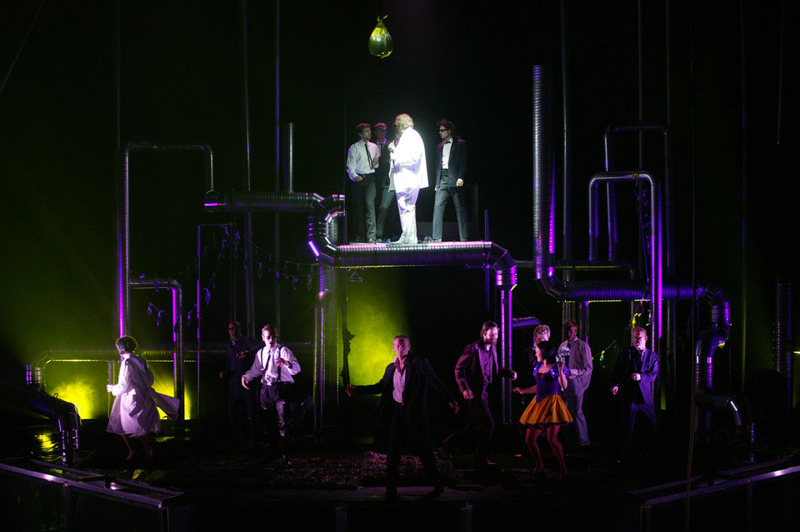 It has since been performed in Germany (Ludwigshafen), Holland (Amsterdam), Spain (Salamanca), South Korea (Uijeongbu/Seoul), USA (BAM – New York) and Denmark (Aarhus).